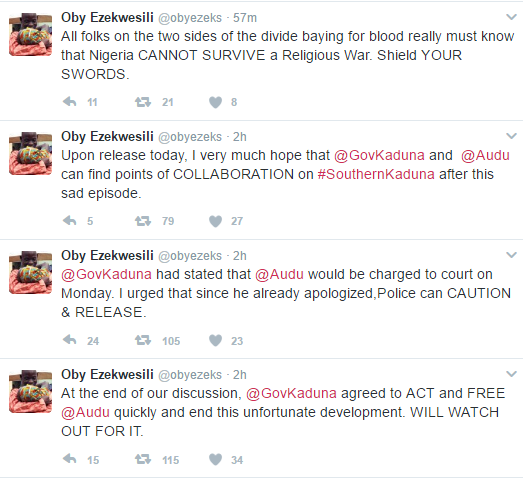 Why Audu Maikori was released by police after Kaduna Killings arrest. 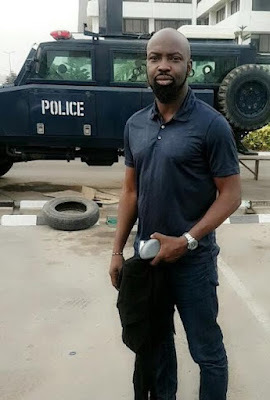 The police have released Audu Maikori who was arrested for making untrue claims regarding Kaduna Fulani herdsmen killings.He was freed after almost 24 hours of being arrested, his lawyer said on Saturday. 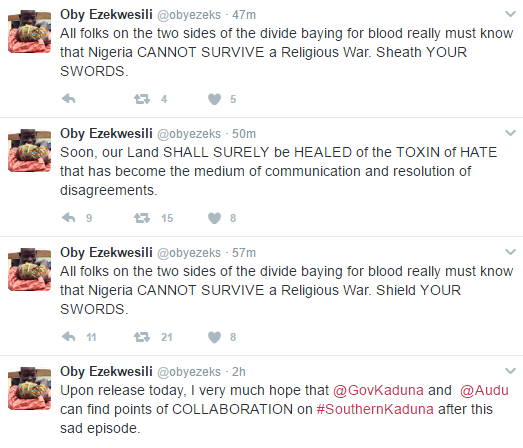 Apparently former minister of education and supporter of free and bring back the Chibok girls, Oby Ezekwesili played a huge part in securing his freedom,you will see more of that below. Mark Jacobs, who had been with Maikori, as legal counsel since he was picked up yesterday, said his client was released around 6:30 p.m.
“He’d just been released,” Mr. Jacobs said. He promised to give more details later. in Lagos around noon Friday by a team of policemen attached to inspector-general monitoring and intelligence team and was immediately transferred to the Force Headquarters in Abuja. 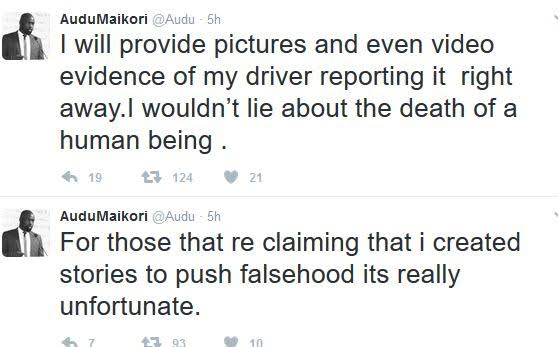 But details of the tweets, which the Chocolate City boss said were obtained from his driver, turned out to be false, earning him vicious social media backlash. He later retracted and apologised for the false information. 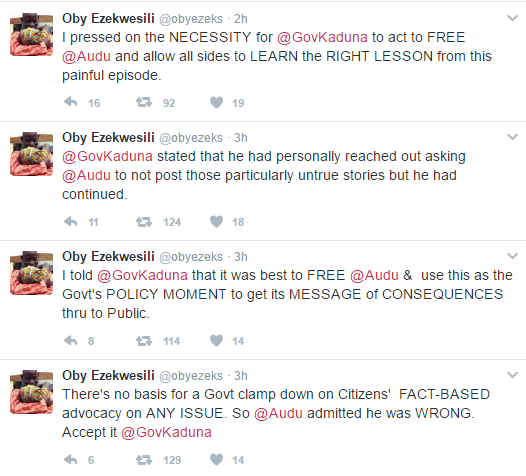 A magistrate in Kaduna issued a warrant for his arrest, his lawyer said. 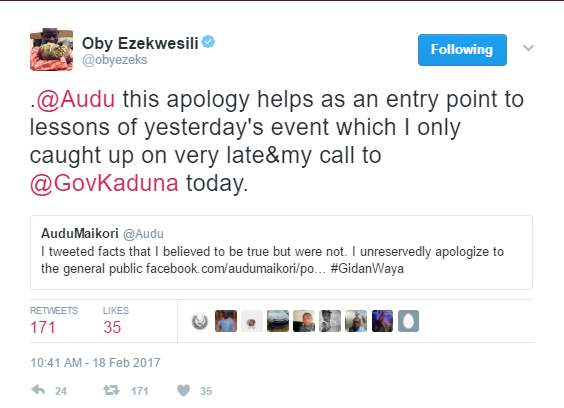 Following the statement by the College of Education, Gidan-Waya Kaduna and the Kaduna State government refuting the story that 5 students of the school were killed by Fulani herdsmen en-route to school on the 27th of January 2017, as reported by one Simon Joseph (my personal driver) I decided to further investigate the story to ensure that all the facts of the case and evidence were presented to the authorities. My driver Simon Joseph had travelled to the village to attend his younger brother’s burial and on his return on Monday the 30th of January 2017, I asked him for pictures from the burial, the ID card of his brother and also pictures of the casket so I could submit to the authorities and he told me that he had phone issues so he could not store pictures on his phone. He told me however that his sister had the pictures on her phone and I proceeded to give him money to go to Ikeja to get the pictures from his sister, so I could have evidence. He didn’t return till evening, and when he did, he showed me some blurry picture of a male body which didn’t show the face of the victim. At this point I began to strongly suspect foul play. I again questioned him about the veracity of his story to which he swore on the bible that his brother was dead and even began to shed tears. Not totally satisfied with the story I made contact with his referees ( who helped to engage him) and they didn’t seem to know about any death in his family . So on the 2nd of February, 2017 I went in company of his referee one Mr Dauda to the Lekki Police Station for questioning in the absence of his providing any concrete evidence of the death of his brother and fellow students(He clearly didn’t suspect anything at this stage). When we got to the station, I lodged my complaint and when he was questioned he maintained his story about the deaths were real until the police officers at the station threatened to arrest him. 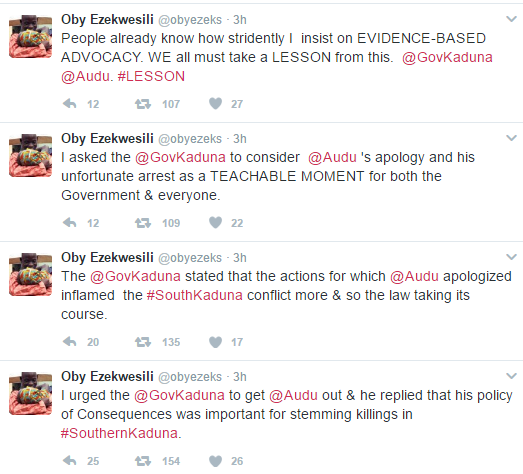 It was only then that he confessed and said he was just trying to collect money from me; that he knew that I was involved in the advocacy on the Southern Kaduna crisis and he thought that I after obtaining money for me for the fake burial expenses I wouldn’t cross check the veracity of his story. So he was duly arrested. Following this development, I decided that the right thing to do was to issue a statement retracting the tweet which reported the killings of students of the College of Education as relayed to me by my driver. And I had no reason to doubt him due to the spate of killings in the area and because in the 8 months he has worked for me, he had never “lied” to me about anything or so I thought. Besides why would any right thinking human lie about the death of a sibling? Consequently, I hereby tender an unreserved and sincere apology to the Management of the College of Education, Gidan Waya, His Excellency the Governor of Kaduna State and the Kaduna State Government, and also to the people of Southern Kaduna and the Fulani community and also VANGUARD newspapers whos source was my driver for the false statement by my driver which I also publicized believing same to be true.